I’m sure you’ve heard many fantastic things about Squarespace, specifically about its state-of-the-art welcome page that is redesigned at least a few times a year, its high-end, polished designs and extremely friendly tech support. Squarespace belongs to that very type of website builders, which make it possible to create different projects, ranging from blogs and portfolios and up to small and mid-sized online stores. The software is a user-friendly and easy tool for proficient web developers and for those, who lack web design skills. Its blogging and eCommerce features, responsive designs and abundance of customization tools make the system a nice choice for the development of your contemporary web design projects. Can’t decide on the best Squarespace niche? Wish to find out more about the websites you can launch with it? Then have a look at some of the best samples of websites designed with Squarespace to see what the platform has to offer you. Shine-cycle.com is a website of the cycling studio, which is dedicated to helping people lead healthy lifestyle by practicing regular exercising and body trainings. There is no sense to talk about the company objectives any longer – a full-screen introductory video available at the homepage of the website is worth a thousand of words. There is also access to the major website menu sections to find out information about the classes, instructors and schedule the studio offers. For those, who are not sure about the reasonability of getting the membership of the studio, it’s possible to book a free class here to try it out. Marvilfit.com is a website of the fitness studio, which sees its mission in helping people lose weight, sculpture their bodies, become fit and reach their lifetime objectives. The website looks simple, yet it conveys the exhaustive information about the studio and the services it provides. The major menu sections – Home, Our Classes, Instructors, Schedule – make it possible to explore the services the studio offers to discover the variant that suits you most. There is an opportunity to buy classes here by signing up for an account and exploring the terms each program offers. The FAQ section, social network account access and a blog with informative health-related posts will help you keep fit and stay healthy. Paradigm4parity.com is a quality website of the coalition of business leaders, which focuses on generation of ideas to handle corporate leadership gender gap problems. The ultimate objective of the movement is to achieve full gender parity by 2030. The website was developed to boost this idea. It has strict trendy design and provides detailed information to cover the most important aspects. The menu encompassess several points – About, The Problem, The Solution, The Newsroom, Contact Us and Blog. There are also drop-down menu sections to help you get the insight of the problem and contribute to its solution. Those users, who are interested in the Paradigm for Parity movement, may get in touch with its representatives by filling out the contact form or joining their accounts in the social networks. 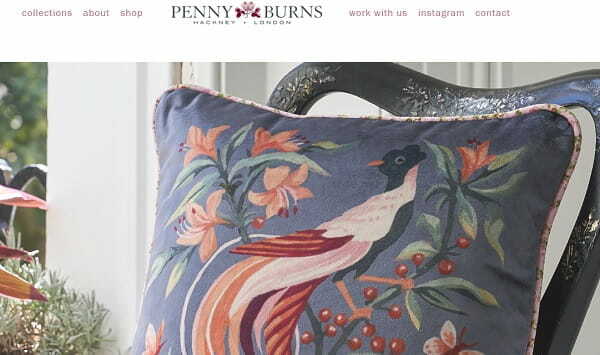 Pennyburns.com is a family-run design business, which was originally launched by Penny Burns. This is a web store of handmade home accessories with unique patterns and fabrics. The web store presents several collections of luxurious home accessories, which make a contemporary statement in any interior. To place an order, you can browse through the collections of cushions, fabrics, textiles and other gifts. Each product comes with original photos and detailed descriptions to simplify the choice. When ordering a certain item, you can select its special parameters like colours, quantity etc. Take your time to visit Penny Burns social accounts to discover more shopping options. 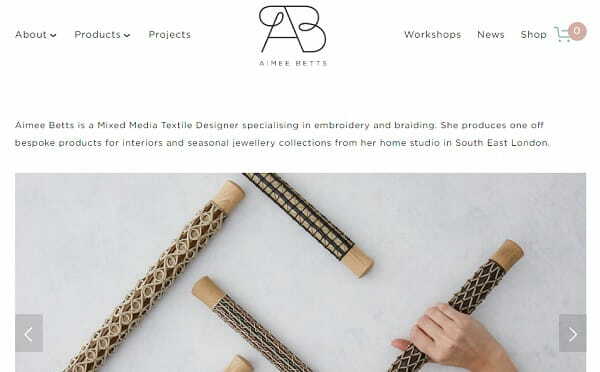 Aimeebetts.com is a web store owned and run by Aimee Betts – the Mixed Media Textile Designer expert, who specializes in braiding and embroidery. The design and colour palette of the website look quite simple at first sight, but the information they convey is enough to come up to customers’ needs. The bright photos of products clearly stand out against the snow-white background, attracting user attention. The Products section grants access to the major product categories to simplify the choice. You can also explore other website pages to have a look at the completed projects, information about Aimee and her studio, workshops, recent news etc. To place an order, just find the product page, look through the details, photos and go ahead to purchase the item. This is a nice sample of a web store created with Squarespace. Sandfordpr.com is a quality website of the London-based integrated Social Media and PR consultant agency, which specializes in architecture, design, luxury, interior and lifestyle sectors. They help businesses grow their productivity by launching creative campaigns and developing communication approaches. By accessing the homepage of the website, you will find out information about the agency, their PR and social services, clients’ portfolios and social media accounts. The website is easy to navigate as users can access the required info either in the menu of the website or directly at the home page. Bright images of the main sections vividly stand against the snow-white background to catch user attention and encourage them for productive cooperation. 20k.org is a website that drives user attention from the very first moment you visit it. The home page has a wide-screen cartoon-like illustration designed in bright colours and urging the desire to keep scrolling down the page. The website was created and is now managed by Dallas Taylor, who is an executive sound producer specializing in the production of high-end projects like blockbuster video game trailers, promo campaigns, award-winning films etc. You can listen to the episodes Dallas created and read their descriptions. Fans of the project can visit the Store section to purchase branded items there. It’s also possible to make donations here to support further development of the project, subscribe to the newsletter and cooperate with sponsors to contribute to the project improvement. A nice sample of a personal Squarespace-based website! Meptik.com is definitely a website that deserves special attention. Just visit it to get the feeling of excitement and surprise created by the amazing video website background! Having seen it, you won’t have any other choice but to keep browsing the website to find out what it is about. Meptik is an Atlanta-based creative agency, which sees its mission in the development of visually- impressive projects with a strong emphasis on content creation, interactive installations, projection mapping etc. The company portfolio is as impressive as the entire website design. Browse the work and services sections to get the idea of what they are doing. Are you interested in further cooperation? Then reach the Contacts page to find out the physical location of the studio, sign up for the newsletter or drop a line to the company representatives. This is one of the most impressive samples of Squarespace websites! For all users, who are interested in landscape design and creative ideas, Newecolandscapes.com will be a nice place to visit. This is the website of the New Eco studio, which is involved in designing and maintaining landscapes in New York and the surrounding locations. The website looks creative and unique as well. With its full-size image slider, rich and detailed project gallery and services description, it deserves the attention of users looking for creative and eco-friendly landscape design ideas. Bright and saturated project photos stunningly stand out against the white background, emphasizing the major sphere of interest of the company. The website definitely deserves user attention, being one of the most attractive samples of projects developed with Squarespace. Yes, you heard it right. Squarespace.com. Their front website, Squarespace is a regular website built using their own builder. It’s hosted on the same servers that their customers’ websites are hosted on. A smart example of a killing marketing strategy that is credible for customers. And I’m sure it works. Hats off to the team. Did you know that blog.lyft.com was built using Squarespace? The transportation company uses Squarespace’s blogging engine to tell more about Lyft’s philosophy and mission. Each post can be easily shared via Facebook or Twitter. 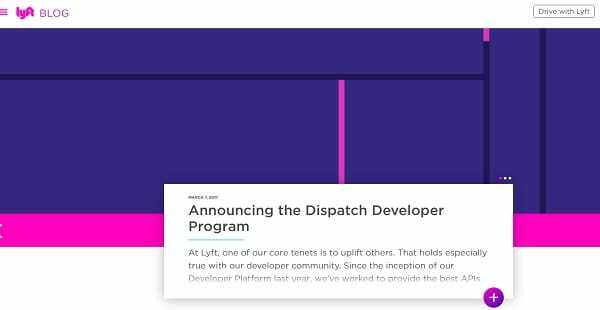 The blog has a simple menu with a vivid call-to-action button – users can download the Lyft app (iOS or Android) through the blog. Even on their blog, they don’t miss the opportunity to increase downloads. Great content, gorgeous design. When it comes to landing pages, Squarespace is a brilliant solution. The new version of the platform (Squarespace 7) besides themes, has a library of cover pages designed specially for creating promo pages or any other one-page projects. A perfect example of these words is this landing page. WIRED.com used Squarespace to create a landing page live.wired.com with a registration form for their latest WIRED by Design project – a live magazine that brought together some of the world’s most creative minds. Looking at this site, you can convey lots of information through imagery and minimum copy, without overwhelming your visitors with lots of text content. Letsmoveschools.org is a very cheerful and vivid website. Its simple design is really easy-to-navigate and their screen-wide imagery can’t leave you indifferent. The long welcome page tells the story of the organization in an easy-to-follow way, without interruptions, guiding you from one paragraph to another. The well-chosen first screen image can involve site visitors in that project. Great job! Laicale.com isn’t just a webstore, but a well-planned web presence of a hair salon. 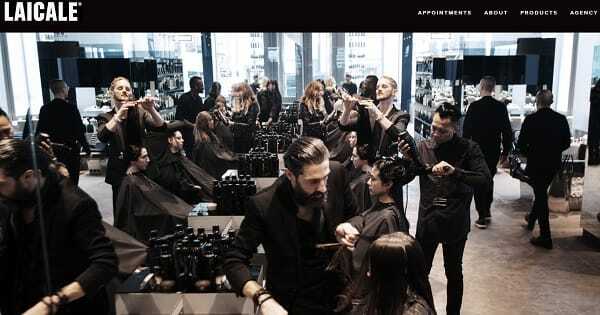 Via this website you can book an appointment and also purchase natural, animal-friendly hair care products. The website looks amazing and is even a bit Squarespace-ish in its layout, fonts and color palette. 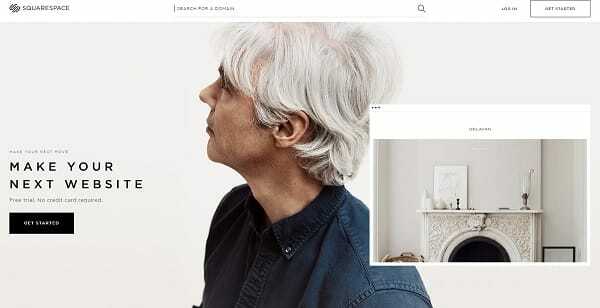 From this Squarespace example you may learn how to make rigorous designed website a near-perfect example of fashion e-store. 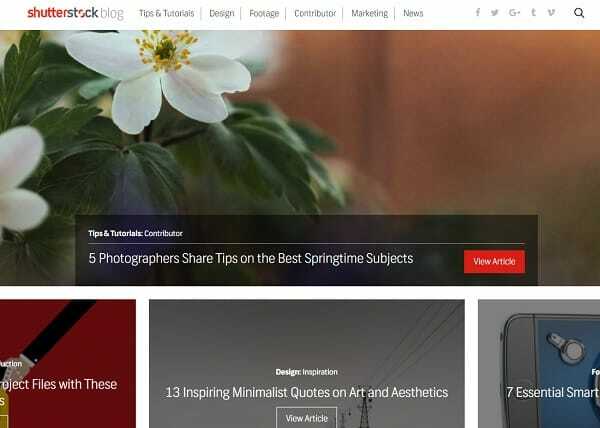 Believe it or not, but the Shutterstock Blog – www.shutterstock.com/blog is built using Squarespace. It supports infinite scrolling which is still highly trending amongst content-centered websites, like blogs and news resources. Simple, elegant and modern. You can see that even the largest web-projects use website builders for their sites. Why don’t you try to do so?. Squarespace is a distinguished name in the contemporary web building niche. This is an easy to use yet functional website builder, offering plenty of design and promotion tools, eCommerce and marketing features. It can be used to develop different types of websites, ranging from simple landing pages and personal websites and up to web stores and complex portfolios. The samples of websites developed with the website builder are the best proof of this fact. They have decent and impressive designs, with bright high quality images, functional and easy-to-navigate website structure, clear layouts and intuitive interfaces. You don’t have to be a coding expert to be able to launch websites on your own. With Squarespace, you’ll cope with that with no hassle at all. Just sign up for the website builder and make sure yourself.